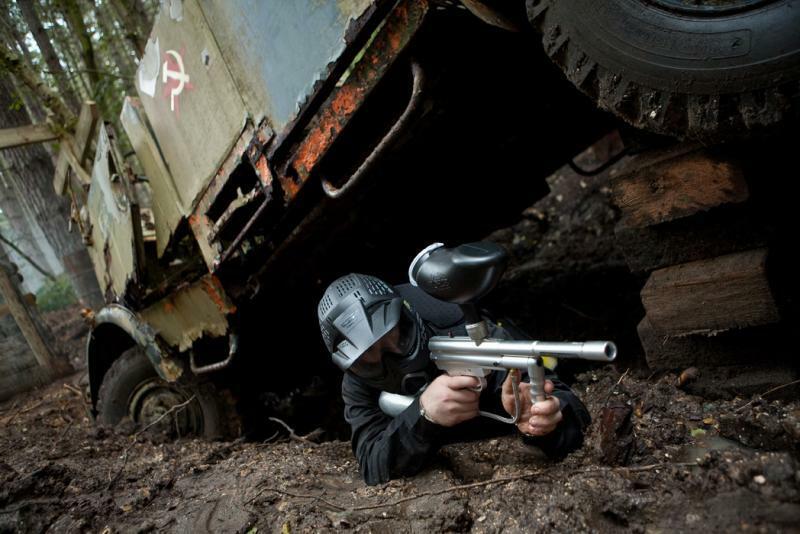 In our twenty years of operation, our staff has witnessed countless thousands of paintball games. 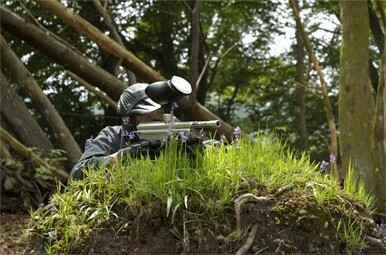 In that time they have seen it all, whether it be a trash talking corporate executive breaking into tears in the heat of combat, a team of ten year old paintball rookies taking down a whole team of men three times their age and hilarious stag antics in all manner of fancy dress, from bear costumes to bikinis! This is the guy that doesn’t take orders from anyone! No carefully orchestrated battle plan can hold this guy back from doing what he wants to do. Being a guy or girl of few words, The Lone Ranger never issues commands nor listens to them. Despite not being a team player, The Lone Ranger’s alternative tactics and actions may just be what leads your team to victory. The Rambo’s of the paintball world have never even heard the word “moderation” nor is cost a factor for them. These are the kind of people that immediately upgrade their gun to an M16, buy as many paintballs and pyrotechnics as they can carry and go out into the field of battle with enough ammunition and explosives for the whole team. They play like they have an angel watching over their shoulder and their ammunition will never run out. 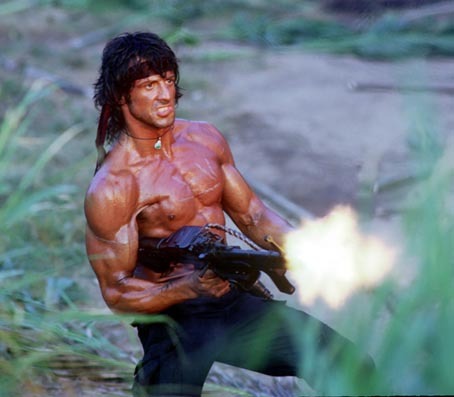 Just by looking at our game zones at the end of the day, we can tell that a Rambo has passed through! These guys have been paintballing a lot. And by a lot, we mean A LOT! Their paintball careers may have had modest beginnings but after a few short years these guys know their stuff. 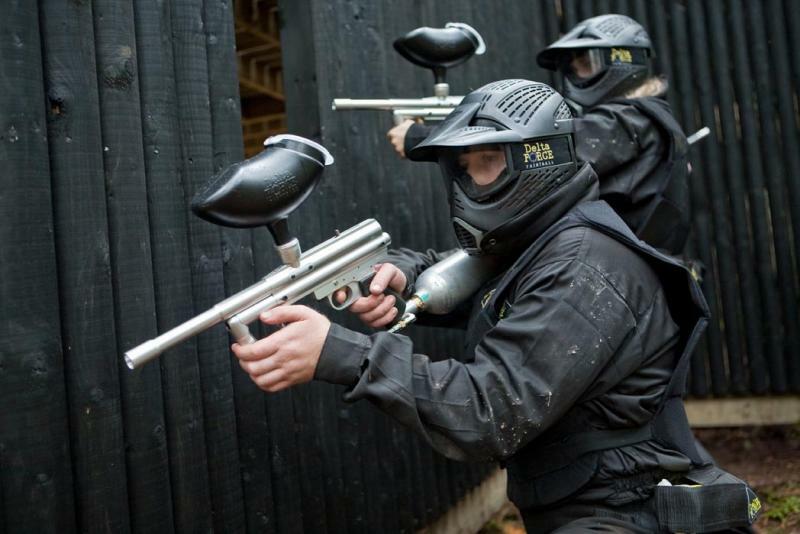 They are geared up with all manner of streamlined, lightweight paintball clothing, their helmet looks like something from the future and their marker can fire 14 paintballs a second. Not only that but they are brimming with expert knowledge accrued from hundreds or battles! If you have one of these guys on your side, you can be sure to whitewash the opposing team! Now nobody would admit to being a coward, but every team has their share! They are the ones who never stray too far from the starting point, keep their heads down in the most well fortified bunkers for the whole game and claim to provide covering fire for the whole game, even though they are out of range! However, having a group of cowards on your team can be useful as they can be left to protect the president or provide your team with a draw during a total annihilation game, as the enemy can’t find them! This guy knows what he’s doing. He confidently yet quietly upgrades his gun to the M16 (or sticks with the Inferno if he likes to play old school! ), buys a modest amount of paintballs and sits in a meditative state before the games start. During the games, The Sharpshooter is a godsend; he hits impossible targets, understands the wind resistance and trajectory of the shot and takes out enemies that nobody even sees. While mobility may not be the name of the game for The Sharpshooter, they are valuable members of your team. The quickest, most agile and downright insane member of the team! This is the guy who volunteers for the most dangerous of tasks, whether it be making a victory dash for the flag on Castle Wallenberg, stealing the totem from the Zombies Crypt before the enemy has even got there or bravely charging towards the enemy under heavy fire! For the marshals, these guys are always the most fun to watch! A natural born leader. 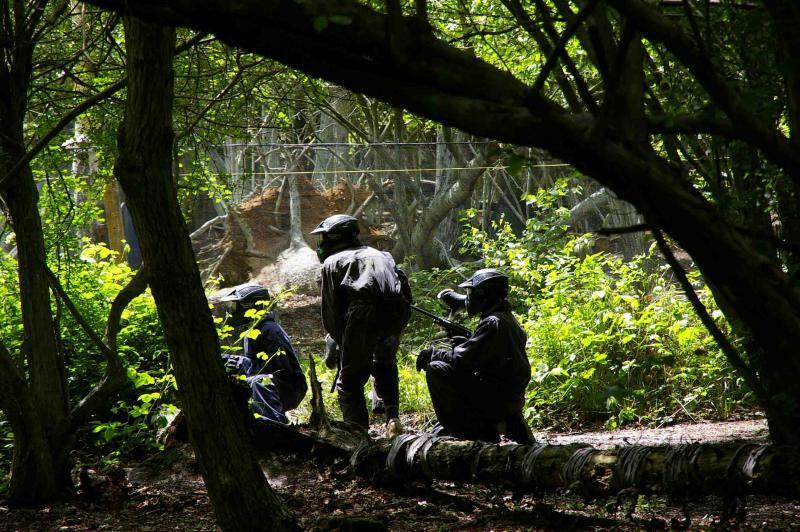 Even with little to no paintball experience under their belt, they still have the confidence to lead their team to victory through simple yet effective strategies. 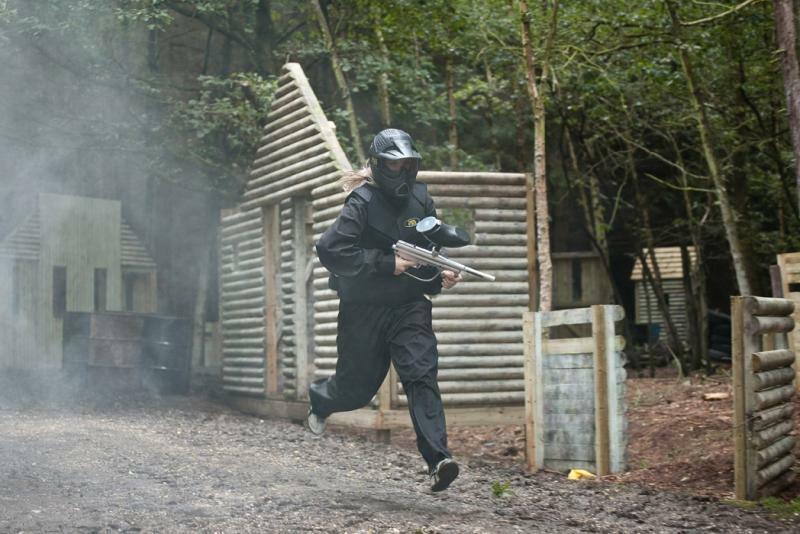 The Team Player volunteers for risky moves, shares his paintballs with teammates, mobilises the whole team to attack together like a well oiled machine and goes up and beyond the call of duty. With one of these guys on your side, you’re sure to dominate the enemy! 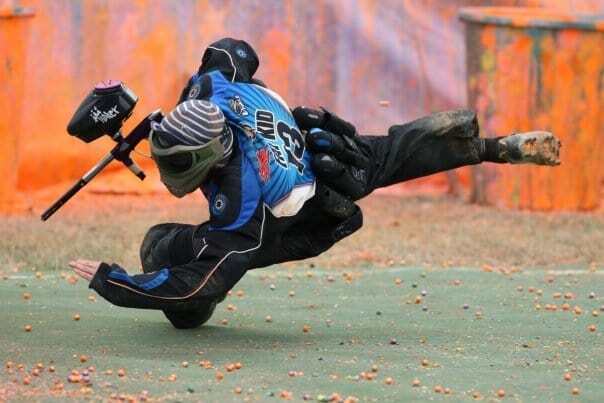 Do you have any paintball stories that you would like to share with us? Join our facebook group and tell us all about your experiences. At Delta Force Paintball, we value our customers and love hearing from them.